payatam paniyaram is a very famous snack/sweet made during the Tamil New Year. 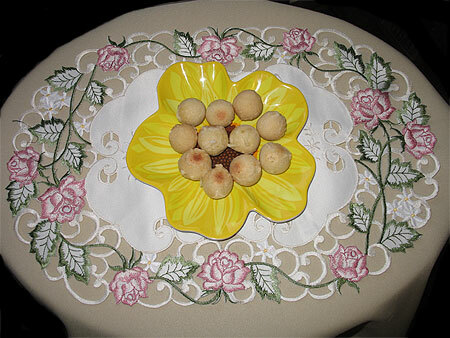 This is also a very common snack/sweet made for weddings and other special occasions. Mix salt and flour and add enough water and mix well without any lumps. Note: Some people add toasted shredded coconut to the payatam paniyaram flour mixture. You can also add a little bit of ground black pepper for a sweet and spicy taste.